Erdogan. Pixabay image . Public domain. The last time there was a referendum in Turkey was seven years ago, and all the changes were approved. But in the seventh referendum in its history today, the country is more markedly divided and the spoils are much greater. President Recep Tayyip Erdogan, who has been the country's preeminent politician for the last 15 years has consolidated personal power, stripped away checks, and undermined rivals inside the courts and the government. He also has unleashed an unprecedented crackdown affecting nearly all spheres of public life, following a failed coup attempt in July of last year. 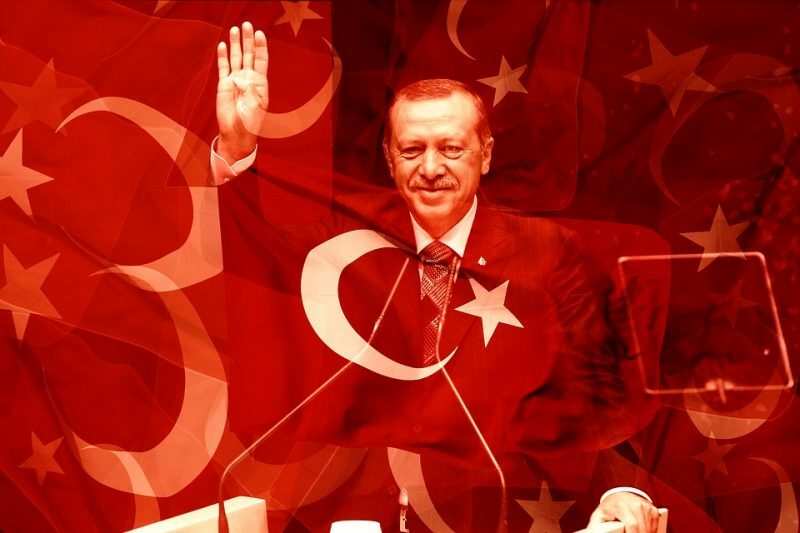 And yet, for Turks voting ‘Yes’ in tomorrow's referendum, Erdogan is the man that scaled back the military's outsized influence over domestic politics, the protector of religious Muslims and the face of the ‘New Turkey’ brand he proclaimed in 2014. His opponents see a ‘Yes’ victory as a doomsday of sorts. According to 18 amendments proposed to the constitution, if the ‘Yes’ vote wins, Turkey would no longer be a parliamentary republic. The position of Prime Minister, currently the most powerful according to the constitution, would be abolished and Turkey would become an executive presidency. President Erdogan would be able to run for the presidency in 2019, and if elected, could stay in power until as late as 2029. The changes will also give the new president the right to dismiss the parliament and appoint ministers and other high-ranking officials without vetting processes. It would allow him to appoint half of all senior judges. The president would also have the right to call referendums, declare emergency situations and issue decrees with the force of law. Supporters of the changes and his Justice and Development Party (AKP) argue it would speed up the decision-making process in the country. A cartoon by Carlos Latuff shows a caged bird, representing the “Yes” vote (Evet) and a free bird, representing the “No” vote (Hayir). We are going to wake up to a new Turkey tomorrow morning no matter what the outcome is we are going to be like this (yes and no voters standing side by side). For #OneMotherland #OneFlag #OneNation #OneState [my vote is] #YES Nothing will be the same! If the ‘No’ vote wins, then proposed amendments will be put aside indefinitely. Criticism of the vote has focused both on its potential outcome, and also the fact that Turkey is not currently in a strong position to hold a referendum. Since last year's attempted coup, some 200 media platforms have been shut down, over 150 journalists  have been put behind bars, and civil society has been cowed  by an unofficial purge, significantly constricting political space for opposition to Erdogan. Some 71,000 people were questioned following the coup attempt, which was attributed to Erdogan's US-based rival Fethullah Gulen. According to a recent story  on the outcomes of purges in Turkey by the New York Times, 41,000 people were issued charges. Members of the pro-Kurdish, pro-democracy HDP party in parliament have been stripped of their immunity and are awaiting trial. One man that still enjoys the freedom of speech is Erdogan himself. In past weeks, Turks have witnessed their president compare Germans and the Dutch  to Nazis, call Holland a “banana republic” and demand sanctions against the country following a bizarre and alarming conflict  over his party's right to campaign for ‘Yes’ in foreign countries. Voting ‘No’, he has said, is equivalent to a vote for terrorism. Many ‘No’ voters fear that however the vote concludes, a new kind of terror, directed by the state, is just beginning.